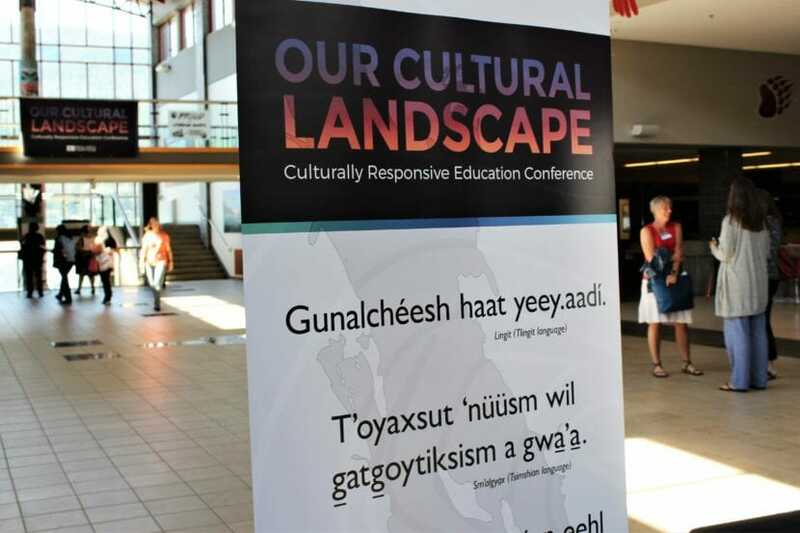 A conference on culturally responsive education kicked off in Juneau on Wednesday with more than 200 educators expected to attend. This is the second year Sealaska Heritage Institute has held the Our Cultural Landscape conference. They invited teachers, experts and school administrators from across the region and country to Juneau-Douglas High School for three days of discussion and learning. The goal is to help educators bring more culturally relevant and place-based learning into their classrooms. The conference organizers say studies show these practices can improve attendance numbers, test scores and graduation rates for Alaska Native students. “With that being the case, we wanted to bring the expert to our teachers so they could learn this is why we’re doing this, this is how we’re doing it,” said Kevin Shipley, education director for SHI. Although many attendees are local, a good number are from other parts of Alaska and around the country. Three came from outside the U.S.
Jasmine Bayou-Young teaches at a visual and performing arts high school in Los Angeles. She’s originally from Seattle and is a Sealaska shareholder. She heard about the conference via shareholder emails and decided to take advantage of the opportunity. Keynote speakers include Randall Lindsey, a professor emeritus at California State University, Los Angeles and published author on cultural proficiency. Lindsey’s work on cultural standards is used in teacher evaluations around the state. Lindsey said Alaska is in many ways leading the nation in terms of culturally informed teaching that ensures better educational access for all students. The conference includes three days of breakout sessions on topics like cultural appropriation and historical trauma, led by educators from Alaska and elsewhere. Educators from nearby partner school districts were given travel scholarships to attend.